Just before serving, beat remaining 1-1/2 cups cream and 1 tsp vanilla in medium bowl to medium-stiff peaks. Run knife around pie to loosen edges and then remove side of pan. Slide spatula under crust and transfer pie to serving plate. Mound whipped cream over mousse and top with chocolate curls, shards, or shavings. To serve, dip knife into hot water and dry before slicing. 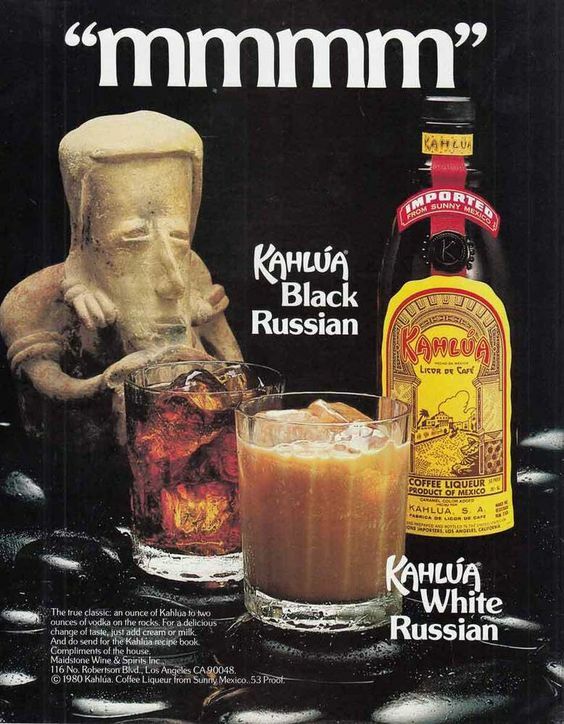 Today is National Kahlua Day. Kahlua is such a versatile liqueur. It is a Mexican coffee-flavored rum-based liqueur that's dense and sweet, with the taste of coffee. Kahlúa also contains sugar, corn syrup, and vanilla bean, so you see why it's often matched with chocolate in drinks, cakes, pies, and candy. 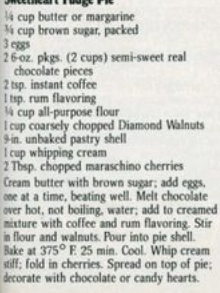 To celebrate today's Kahlua holiday, scroll down for a recipe for Black Russian Bundt Cake. A Black Russian is a classic cocktail made with 1 part Kahlua, 2 parts Vodka. Fill glass with ice. Add alcohol and mix! Want to make your own Kahlua? Here's a recipe. The Kahlua won't be ready for a month, but it will be great! Bring 4 cups water to boil. Add 4 cups sugar and cook until dissolved. Add instant coffee. Simmer slowly - do not boil! Add vanilla bean and 1/5 vodka or bourbon. Bottle and cap. Leave for a month or more! Combine all ingredients and beat on low for one minute and then on medium for 4 minutes. Pour into greased and floured 10-inch bundt pan. Invert onto plate and pour on glaze. Combine and have ready when cake comes from oven. 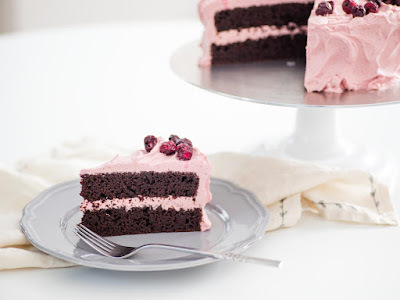 Poke holes in cake and pour glaze over cake. 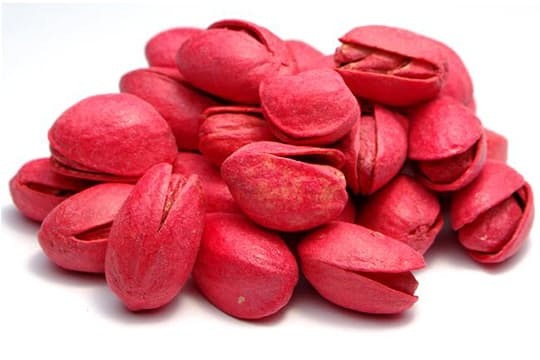 We used to eat lots of red-dyed pistachios when I was a kid. Our mouths and teeth would be stained red for awhile. Red Dye #1? We didn't worry about how it might effect us, nor did our parents. However, I did a bit of searching, and if you're so inclined, you can still buy them at Oh Nuts. I also found out why they were dyed red. Most pistachios when I was young were imported from the Middle East where traditional methods of harvesting left stains on the shells. The producers would dye the shell red or green to cover up the stains. Today, about 98% of pistachios sold in the U.S. are grown in California, where they use a mechanized harvesting process that means that the nuts are picked, hulled and dried before the shell has a chance to become stained. 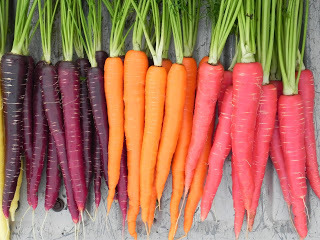 No need to dye them! Luckily, all natural pistachios are readily available. Of course, as I mentioned, if you still want red dyed pistachios, Oh Nuts sells them. They are called Californa Red Colored Roasted Salted Pistachios. 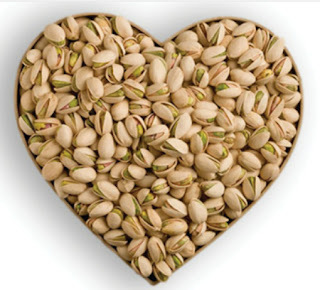 And, FYI: Pistachios are very nutritious. One serving provides more fiber than a 1/2 cup of spinach or broccoli. I've posted many brownie recipes over the years, but thought I'd post this one for Chewy Pistachio Brownies that's slightly adapted from the American Pistachio Growers website. HOMEMADE OH HENRY! 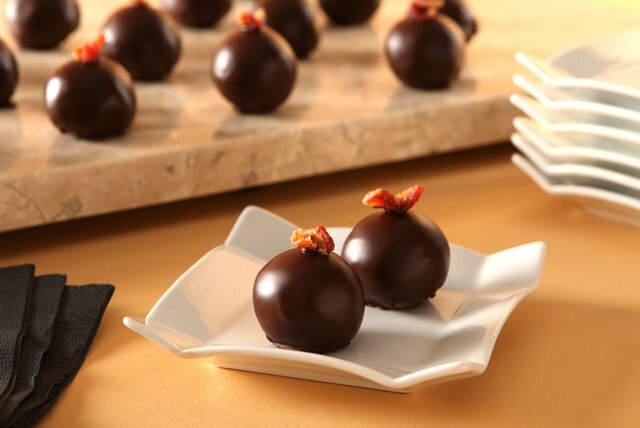 BARS (3 Recipes): National Chocolate Covered Peanut Day! 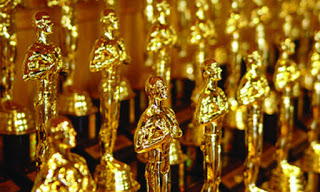 In honor of tonight's Academy Awards, I will be eating chocolate. 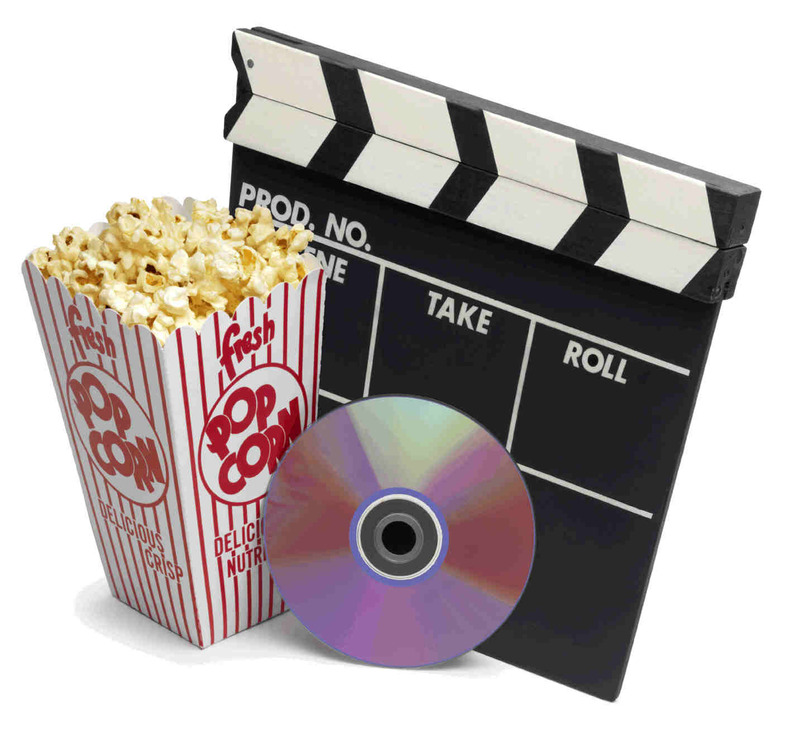 There are a lot of great movies that involve Chocolate, and I've put together a short list. There are a lot of movies with Chocolate in the title that have nothing or little to do with chocolate, as well as movies with fabulous chocolate 'scenes', but which are also not chocolate-themed, so I've skipped those. 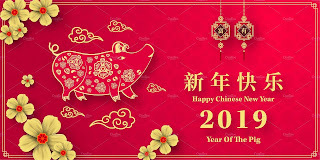 I hope you enjoy this list. Make some Chocolate Covered Popcorn and watch! 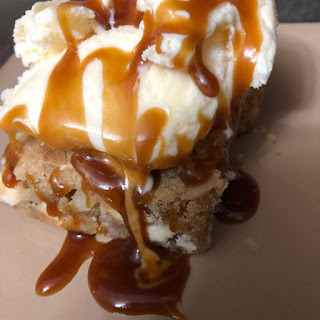 Recipe at the end of this post. Chocolat. 2000. A woman and her daughter open a chocolate shop in a small French village that shakes up the rigid morality of the community. Based on the book by Joanne Harris with Juliette Binoche, Judi Dench and Alfred Molina. Like Water for Chocolate. Como agua para chocolate. 1992. Based on the novel by Mexican author Laura Esquivel. Willy Wonka and the Chocolate Factory. 1971 with Gene Wilder. Based on the book by Roald Dahl. Consuming Passions. Cioccolato Bollente. 1988 in Italian, made in the UK. Black Comedy about a young executive who tries to modernize a chocolate factory. Bread and Chocolate Pane e cioccolata. 1973 Italian film about an Italian immigrant in Switzerland trying to make a better life for himself while dealing with increasing bigotry and bad luck. Charlie and the Chocolate Factory. 2005. Johnny Depp. Based on the Roald Dahl book. Not as good as the original movie. Lessons in Chocolate. 2007. (lezioni di cioccolato) Italian film set in the chocolate world of Perugia. Kings of Pastry. (documentary) 2009. Sixteen French pastry chefs gathered in Lyon for three intense days of mixing, piping and sculpting everything from delicate chocolates to six-foot sugar sculptures in hopes of being declared one of the best. Prestigious Meilleurs Ouvriers de France competition. 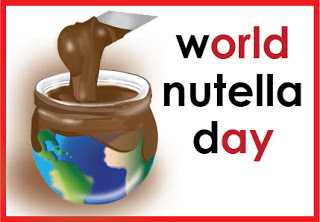 Not just chocolate, but there's a lot of chocolate! Make a bag of popcorn (buttered or plain) and pop it according to the directions. Put popped popcorn into large bowl or flat baking pan (for more even distribution). Melt dark or white chocolate or both (in separate bowls) in top of double boiler (or in microwave). Drizzle chocolate on popcorn. 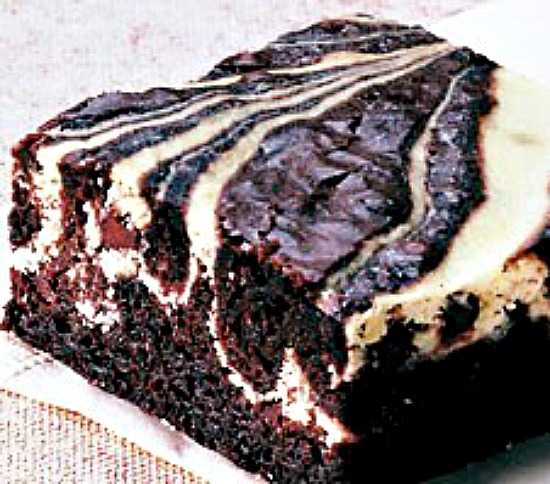 You can always add more chocolate, but you can't remove it, so use sparingly. 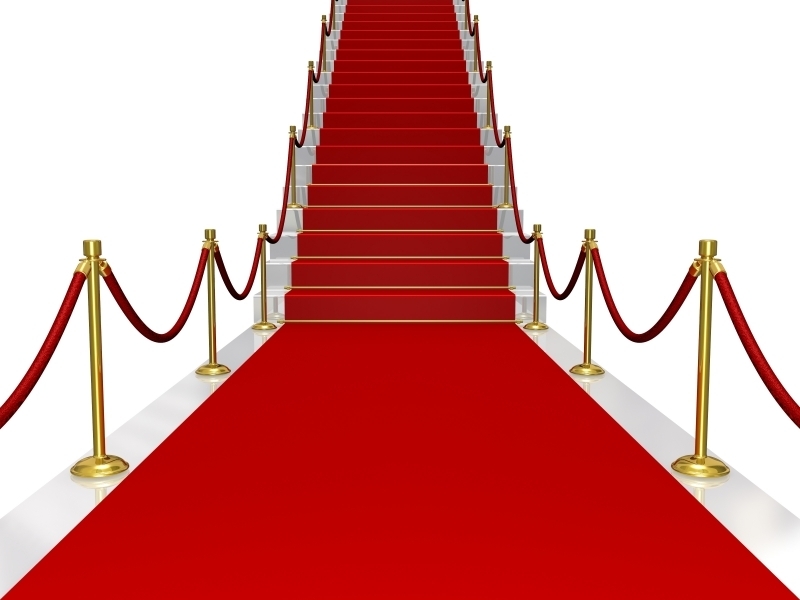 Roll out the Red Carpet for the Academy Awards. Red Carpet Red Velvet Popcorn (3 ways) is the perfect snack! Roll out the Red Velvet Red Carpet Popcorn! Spread cake crumbs on baking sheet. Bake 8 - 10 minutes until toasted. Cool. Melt butter, vanilla, sugar, salt and mix. Toss popcorn with butter mixture. Microwave white chocolate chips or melt in double boiler; stir until smooth. Drizzle over popcorn until evenly coated. Pour popcorn into large bowl. Melt white chocolate in microwave or double boiler. Pour melted chocolate over popcorn and stir gently to coat completely. Pour popcorn onto waxed paper lined cookie sheets and sprinkle with red velvet crumbs. 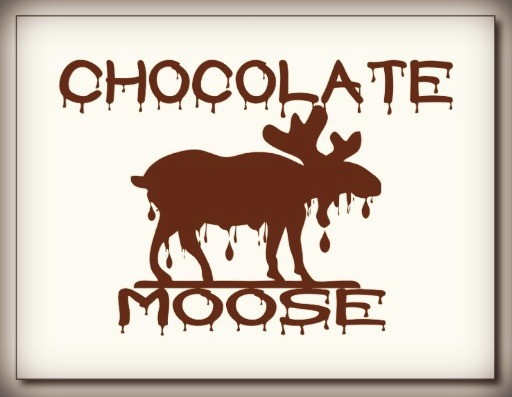 Melt dark chocolate chips in microwave or double boiler. Using fork, drizzle over popcorn. Let popcorn set completely before eating. Want to make Red Carpet Red Velvet Popcorn Balls? Here's a recipe adapted from IcyViolet's Kitchen. 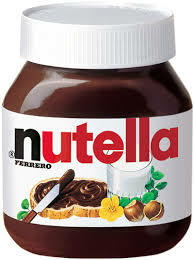 It's quite heavenly--and very rich. Put 1/4 cup corn kernels in large pot with Tbsp olive oil over medium to medium high heat...they will heat up and start popping. When popping lessens and stops. it's done. Measure out six cups and sprinkle with 1/2 teaspoon salt. Melt white chocolate in microwave or double boiler. Add cream cheese to chocolate and stir until melted. 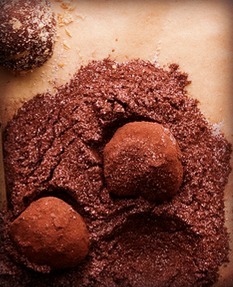 Add cake mix, cocoa, and red food coloring to chocolate mixture and stir. Pour coating onto popcorn and coat evenly. 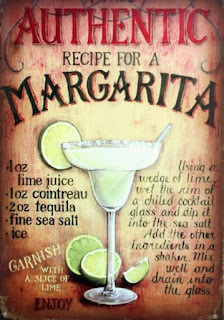 Today is National Margarita Day, and I like to eat my drinks! You're going to love this Flourless Chocolate Margarita Cake! It's a great Gluten-Free chocolate cake recipe--aka a Flourless Chocolate Lime Cake with Margarita Cream. 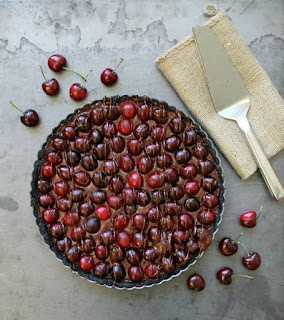 I originally found this recipe at the Nigella site, but then again on the BHG site. Very similar. As always, use the very best ingredients. I have easy access to almond flour, but you can always make your own. I do love chocolate and citrus, and this recipe "takes the cake! 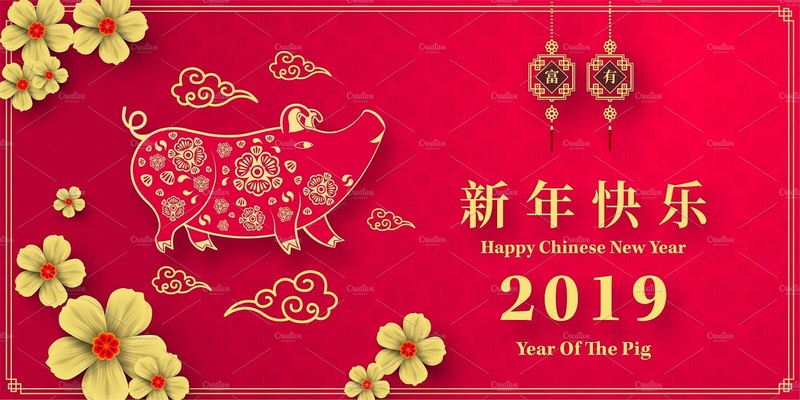 "It's great for Passover, too, so be sure and bookmark this page! Preheat oven to 350 degrees F, line bottom of a 9-inch springform pan with parchment paper, and butter sides of pan. Melt chocolate and butter together either in a heatproof bowl suspended over a saucepan of simmering water or in a microwave 30 seconds at a time until melted. Set aside to cool slightly. With electric mixer, beat eggs and sugar together until about tripled in volume, pale, and mousse-like. Mix almond meal with the cocoa powder. Gently fold into egg mixture, followed by the slightly cooled chocolate mixture. Fold in lime zest and juice. Pour and scrape into prepared pan. Cake will be just firm on top but still have a bit of a shake below. Cool cake in pan on a wire rack. Once slightly cool, drape clean kitchen towel over cake to stop it from getting too crusty, though a cracked and cratered surface is to be expected. When completely cool, loosen cake edges from pan using a metal spatula or knife. Unmold and dust with confectioner's sugar. Whip heavy cream in separate bowl until it holds its shape. Whisk in margarita mixture and keep whisking until mixture is light and aerated. Stir lime juice, tequila, and triple sec or Cointreau together in large bowl. Whisk in confectioner's sugar and let it dissolve in the liquid. *Superfine sugar is not powdered sugar. It's granulated sugar that is ground even finer than regular sugar. It's also known as castor sugar. To make your own, put the amount of granulated white sugar called for, plus 2 extra tsp, in the recipe and put in food processor. Process for 1-2 minutes until it feels like fine sand. Be sure and let it rest before opening your food processor. Today is National Sticky Bun Day! I love Cinnamon Buns, and what could be better than Chocolate Sticky Buns! 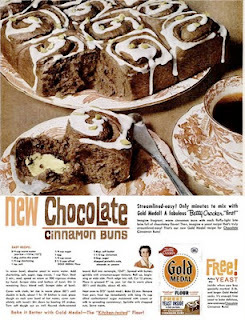 Here's a great Retro Betty Crocker Gold Medal Flour Advertisement and Recipe for Chocolate Cinnamon Buns aka Chocolate Sticky Buns. Today is National Muffin Day, so I thought I'd post one of my favorite recipes for Double Chocolate Zucchini Muffins. I know that zucchini may not be growing in your garden now, but zucchini is in the market. 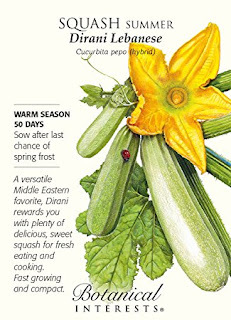 If you're a strong locavore, you can always save this recipe for the summer when you are sure to have a huge harvest of zucchini. In large bowl, pour boiling water over zucchini. Add other ingredients (except chocolate chunks) and stir until just combined. Fold in chocolate chunks (or chocolate chips). Using 1/4 cup measure, pour batter into cups. Today is National Chocolate Mint Day... the perfect food holiday to write about one of my all time favorite candies -- Junior Mints. Definition: Junior Mints are a candy consisting of small rounds of mint filling (with a dimple on one side) inside a dark chocolate coating. They are currently produced by Tootsie Roll Industries. 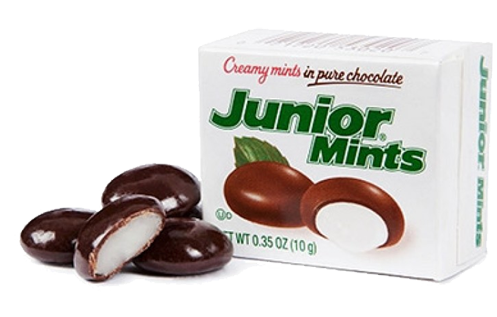 History: Junior Mints were introduced in 1949 by the James O. Welch Company, manufacturers of candies and candy bars such as Sugar Babies, Welch's Fudge, and Pom Poms. The name of the product is a pun on Sally Benson's Junior Miss, a collection of her stories from The New Yorker, which were adapted by Jerome Chodorov and Joseph Fields into a successful play, directed by Moss Hart. Junior Miss ran on Broadway from 1941 to 1943. In 1945, the play was adapted to film, with George Seaton directing Peggy Ann Garner in the lead role. The Junior Miss radio series, starring Barbara Whiting, was being broadcast weekly on CBS at the time Junior Mints were first marketed in 1949. 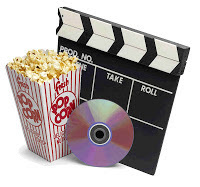 Welch created a product sold at movie theater concession stands and identified with a specific movie and radio series and displaying a name that sounded almost exactly like that property–yet different enough that it avoided any fees for licensing and merchandising. Junior Mints quickly became a popular candy, and one product in the line is the three oz. box marketed as the "Theater Size Junior Mints Concession Candy." And, of course, who can forget the Junior Mints episode of Seinfeld? In case you want to smell like Junior Mints, not just eat them, here's a Link to the Scent. If you want to make something close to Junior Mints in taste, I suggest these Peppermint Patties by my friend Pattie Tierney. They're not small, but they're wonderful. Put Junior Mints in freezer. In electric mixer, combine cream cheese and sugar until smooth. Chop cold Junior Mints and sprinkle on cheesecake. Bake at 350 degrees for 40-45 minutes or until just set. Cool on wire rack, then chill several hours or overnight. Makes 8 servings. Combine 2 cups crushed chocolate wafers (I whirl them in the blender) with 6 Tbsp melted butter. Press into bottom and up sides of pan. Today is Presidents' Day. It's not any 'real' president's birthday. I find this odd. When I was growing up we celebrated both Lincoln's Birthday and Washington's Birthday on separate days. That also meant two days off from school, not just one. 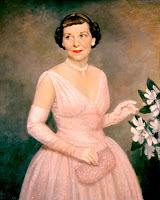 But times have changed, so to go with the flow, for this year's Presidents' Day, I'm featuring recipes by the women behind the men (sadly not a man behind the woman). 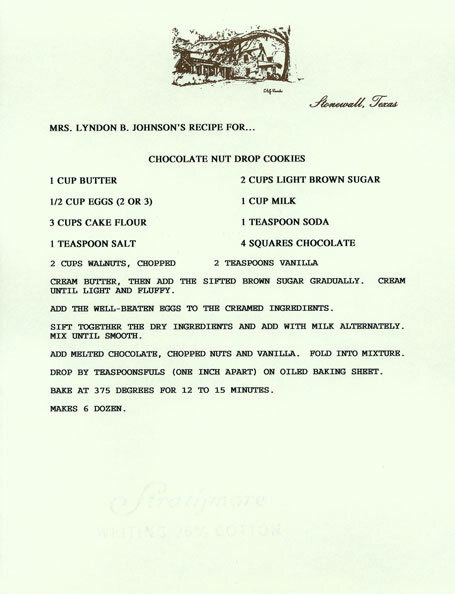 Here are several Chocolate Recipes from some first ladies. 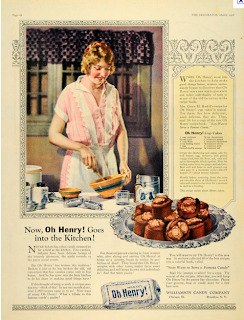 The recipes are found in the individual Presidential Archives, as well as newspapers and individual cookbooks. Make any of these great recipes and celebrate Presidents Day. Boil sugar, salt, butter, evaporated milk together for six minutes. Put chocolate bits and German chocolate, marshmallow cream, and nutmeats in bowl. Pour boiling syrup over ingredients. Beat until chocolate is all melted, then pour into pan. Let stand a few hours before cutting. Line flat 9x9″ cake pan with wax paper. 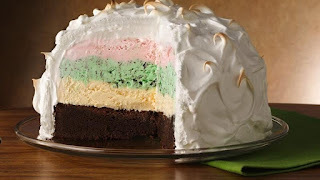 Slice angel food cake and place a layer of cake in pan. (Slices easier if frozen). Separate eggs, beat yolks. Melt chocolate in double boiler over water. When melted, add sugar and water. Mix well. Make sure sugar melts. Remove from heat and stir gradually into beaten egg yolks. Beat until smooth. Cool this mixture. Add vanilla and salt. Mix well. Fold egg whites into chocolate mix, then the whipped cream. Place a layer of chocolate on the angel food slices, than another layer of cake, then a layer of chocolate. This can be frozen and used later. Be sure to chill overnight before freezing. Preheat oven to 350 degrees F. Grease baking sheets with vegetable oil. Combine flour, salt, and baking soda on waxed paper. 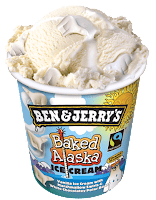 Beat together shortening, sugars, and vanilla in large bowl with an electric mixer until creamy. Add eggs, beating until light and fluffy. Gradually beat in flour mixture and rolled oats. Stir in chocolate chips. Drop batter by well-rounded teaspoonfuls onto baking sheet. Bake for 8-10 minutes, or until golden. Whisk together flour, baking soda, and salt in small bowl. In large bowl with electric mixer, cream butter, vegetable shortening, granulated sugar, brown sugar, and vanilla extract. On low speed, beat in flour mixture. 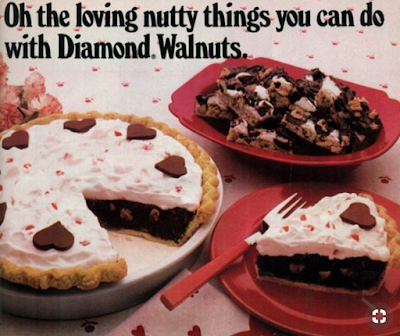 By hand, stir in white and milk chocolate chips, mint chips and walnuts. I love when my mystery and chocolate worlds collide, and in the case of Kathleen Taylor, that collision also includes my photography world. Kathleen Taylor is the author of 6 Tory Bauer Mysteries, 5 knitting books, 3 coloring books, one coming of age novel, and a couple of still-unpublished mid-grade fantasies. You know how it is, when you want something sweet, but you want it fast, and you don't want to hover over the oven for the next two hours. And you also have a lovely bag of macadamia nuts in the pantry? My solution? Make bars instead of cookies. 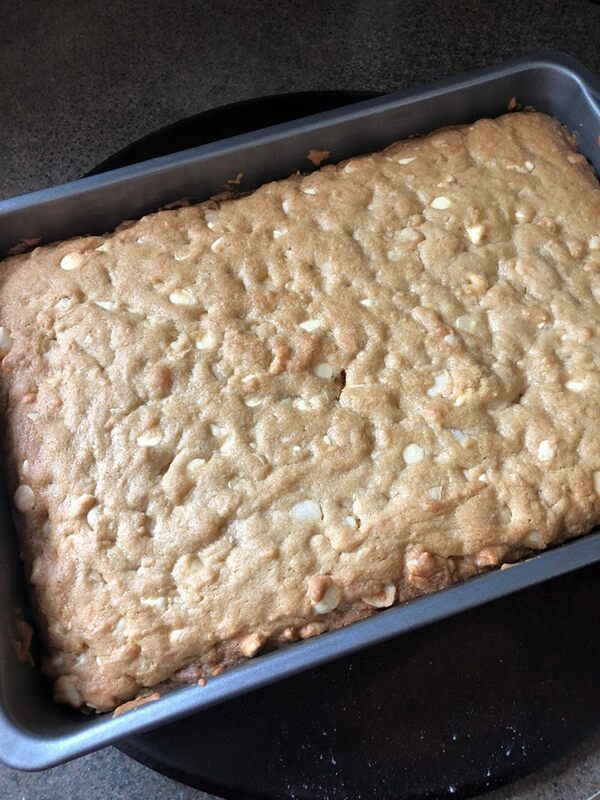 And if you have macadamia nuts on hand, make White Chocolate Macadamia Nut Bars. Cream butter, sugars, eggs, and vanilla until smooth. Add flour, baking soda, and salt, stir until thoroughly blended. Stir in macadamia nuts and white chocolate. Spread evenly in the sprayed 13" x 9" pan. Bake 20-25 minutes, or until edges are slightly brown. When in doubt, undercook. These bars get dry and crumbly easily. Eat warm, or (better yet) serve with vanilla ice cream and caramel sauce. 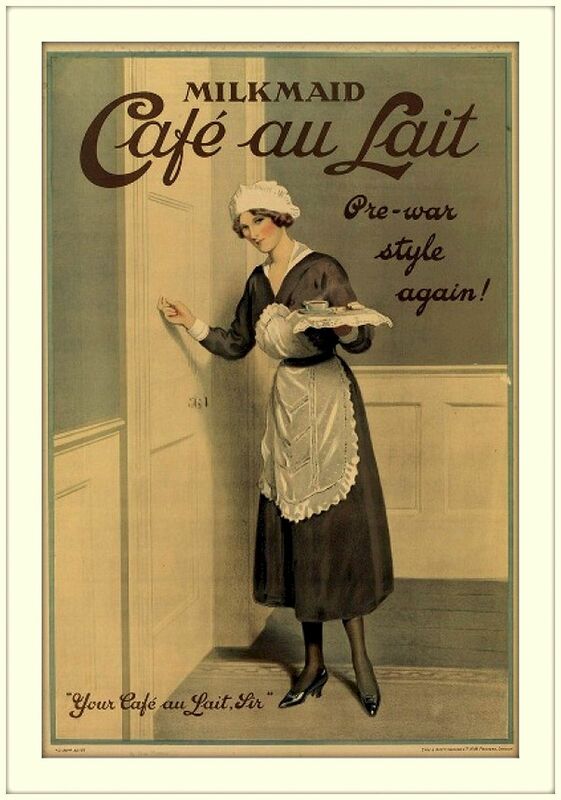 February 17 is National Café au Lait Day! Café au lait is French for "coffee with milk" and refers to a specific French coffee drink, although like most things there are multiple varieties. Don't confuse it, though, with a Caffe Latte. 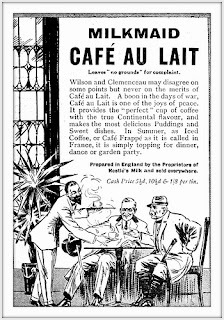 Did you know that in the 1600s a French doctor suggested Cafe Au Lait for patients, inspiring people to add milk to their coffee. 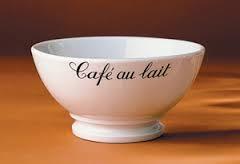 Cafe au Lait is often served in a small bowl. Very French! There are several cafe au lait cups on the market. To celebrate today, go to your local cafe or brew a cup at home, or you can make this sensational Café au Lait Coffee Cake from Nicole at MadebyNicole. Her recipe is fool-proof, and it's filled with Chocolate Chips. What better way to celebrate coffee with milk than with a Coffee Cake? As always, you can use any good quality chocolate, chopped into small chunks in place of chocolate chips. For those of you lucky enough to live in New Orleans, pop on over to the Café du Monde today for a Café Au Lait. They make it with chicory, which gives it a strong, bitter taste. The bitterness of the chicory offsets the sweetness of the powdered-sugar-covered beignets which of course you'll want to have. O.K., getting ahead of myself. In large bowl beat sugar and butter until light. Add eggs, then sour cream, and then coffee dissolved in water. In small bowl, whisk together dry ingredients. Gradually stir into moist ingredients starting with 1/3 of dry mixture, 1/2 of milk, 1/3 dry, 1/2 milk, and final 1/3 dry mixture. Spread half of batter into pan. Sprinkle with 1 1/2 cups of topping. Cover with remaining batter and finish with crumb topping. (Optional) Cool and drizzle glaze off a fork onto top of cake. I recently re-watched Waitress, a smart and quirky foodie movie from 2007. Waitress was written and directed by the late Adrienne Shelly. Jenna, played by Keri Russell, is a woman trapped in a life she dreams of escaping. She plans to save money from her waitressing job to leave her controlling husband and change the course of her life. She's sharp and sassy and has a gift for making unusual pies whose recipes are inspired by the trials and circumstances of her life. Pies such as: I Don't Want Earl's Baby Pie, Baby Screamin' Its Head Off in the Middle of the Night & Ruinin' My Life Pie, I Can't Have No Affair Because It's Wrong & I Don't Want Earl to Kill Me Pie, Falling in Love Chocolate Mousse Pie, and Marshmallow Mermaid Pie. Mermaid is also now a musical Broadway hit! So today I thought I'd post Jenna's recipe for Marshmallow Mermaid Pie. The recipe actually came with the DVD of the film, but you can find variations of the recipe on the Internet. Marshmallow Mermaid Pie was the pie Jenna brought for her doctor, Dr. Mueller, who happened to be semi-retired. Jenna ended up giving the pie to the junior doctor, Dr. Pommater. 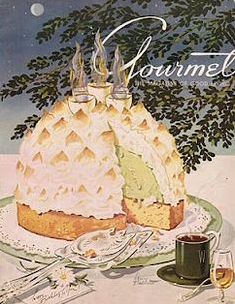 On their next meeting, Dr. Pommater exclaimed, “That pie was biblically good, that’s how good it was!” Want to try it? Here's a recipe for Marshmallow Mermaid Pie! Combine coconut and graham crackers in food processor until coarse crumbs form. Combine crumbs and butter with fork. Press to bottom and side of 9-inch pie plate. Bake 10 minutes and cool on wire rack. 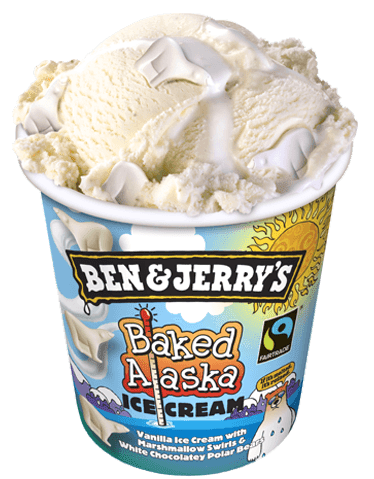 In large bowl with mixer at medium speed, beat cream until stiff peaks form. Fold marshmallow mixture into whipped cream with grated chocolate. Spoon filling into cooled crust. Refrigerate pie at least 3 hours or overnight. Top with mini marshmallows, if desired. 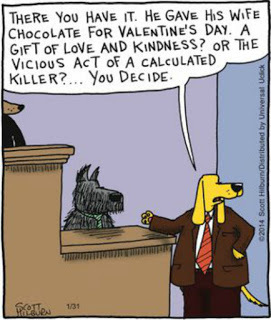 There's nothing quite like a good Chocolate Cookie for Valentine's Day. I make a lot of Heart shaped Chocolate Cookies for Valentine's Day. I always think it's fun to use different Heart Cookie Cutters, so you have different sizes and different shaped hearts. What says Valentine's Day more than the ultimate couple -- Mickey & Minnie Mouse! 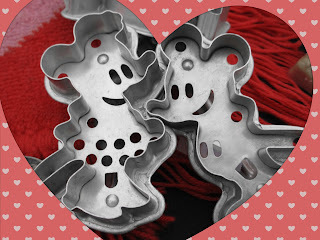 Love these Mickey and Minnie cookie cutters! Here's a great easy Chocolate Cookie Recipe. Use whatever cookie cutters you have.. I'm using Mickey & Minnie! This great Chocolate Cut Out Cookie Recipe is slightly adapted from Bake @ 350. These cookies hold their shape and are delicious! Cream together butter and sugar until light & fluffy (1-2 full minutes). Beat in egg and vanilla until well combined. Whisk together flour, cocoa powder, espresso, and salt and slowly add to butter mixture with mixer on low. Scrape down sides and bottom of bowl as needed. Roll dough about 1/4 inch thick on surface lightly dusted with cocoa powder. Hint: roll soft dough in between sheets of parchment and put in refrigerator for 15 minutes until firm. Cut out shapes and put on baking sheets. Let cookies cool for 2-3 minutes and using spatula put on cooling rack. I don't frost my chocolate cookies, but these cutters would guide the way. I know you'll love the great chocolate taste in these cookies! What cookie cutters are you planning to use for Valentine's Day? Fondue is so retro and romantic! How fun would this be for your Valentine's Day dinner? 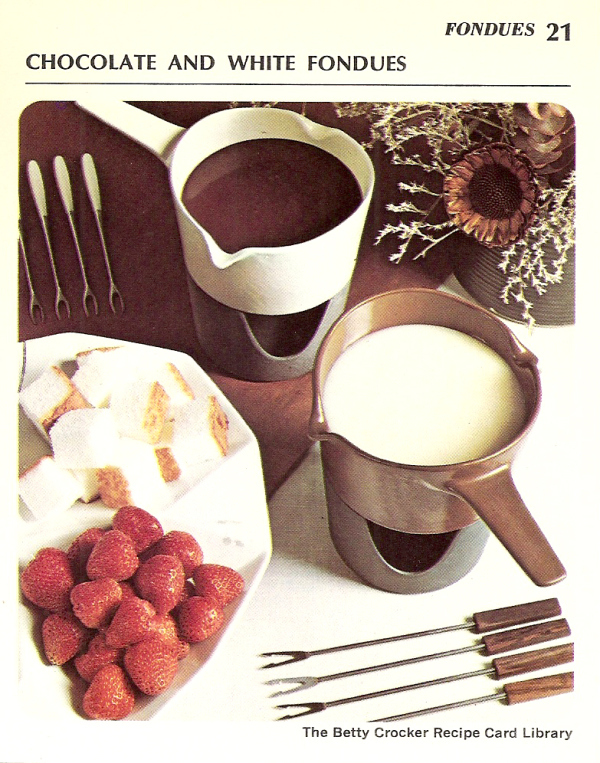 I know there's cheese fondue, but my favorite is, of course, Chocolate Fondue. Who doesn't like to dip things in chocolate? So pull up a chair at that mid-century table you found at the Flea Market, and enjoy! A few tips: You can make everything ahead of time: cut up the fruit, put out the marshmallows, and other dippers. Be sure and have lots of napkins on hand, it can get messy. Fondue pots are readily available at most kitchen stores and many hardware stores, and online, of course. Or.. search the attic or ask your mother. You're bound to find one -- maybe even one that's never been used! Here are two easy Chocolate Fondue Recipes--with a Twist! Combine condensed milk, caramel sauce, and chocolate in saucepan. Cook over low heat until chocolate is melted. Put in fondue pot and keep warm. Serve fresh fruit--strawberries, bananas, pineapple, oranges for dipping! Heat 1/2 cup cream in heavy saucepan over moderate heat until cream comes to low boil. Remove pan from heat and add chocolate. Let chocolate stand in hot cream 3 to 5 minutes to soften, then whisk chocolate together with cream. Stir in liqueur and chopped nuts and transfer to fondue pot.